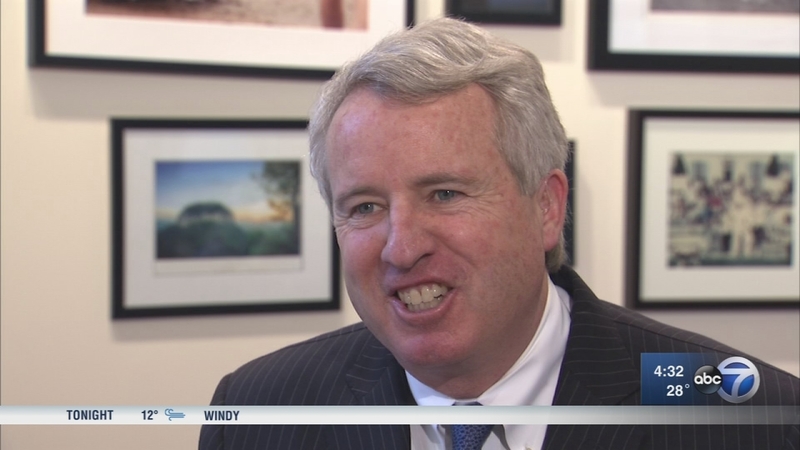 Chris Kennedy, who is running for Illinois governor in 2018, revealed Tuesday that he has a medical condition called familial tremens which sometimes causes his hand to shake. In a Facebook post, Kennedy - a 53-year-old former chairman of the Merchandise Mart in Chicago - said: "I want to set the record straight." Kennedy, a Democratic businessman, said he wanted to talk about his condition after a news article about his Monday meeting with the Cook County Democratic Party concluded that his hand shake meant he was nervous. "The shaking is a condition I've lived with my whole life called familial tremens. It runs in the family. Doctors don't know what causes it other than it is hereditary and does not cause impairment - more of a nuisance than a disability. In fact, many of my family members live with it. It doesn't limit any of us in any way," wrote Kennedy, who is the nephew of former President John F. Kennedy. He added: "I don't talk much about it, not because I'm ashamed of it, but because having dealt with it my whole life, it's just not that big a deal to me."